Cleghorn Fish Hatchery | R.C.S. Construction, Inc. This project consisted of demolishing the existing buildings and constructing new buildings and new open ground tanks. The existing concrete raceways were demolished to make room for a new, 25,235 square foot fish rearing building and a 6,990 square foot office and shop building. 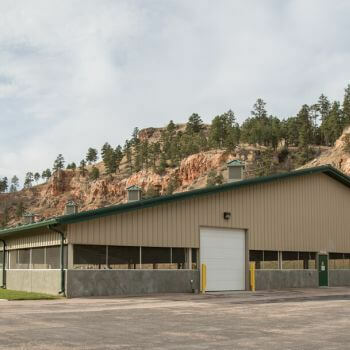 The existing hatchery building was renovated and upgraded to give the state hatchery staff better equipment and facilities for raising of fish. The building received an updated incubation room, egg sterilization lab, and rearing tank room. Thirty two 6'-diameter fiberglass tanks were installed in the rearing tank room along with an automated fish feeder system. The new office/shop building is a steel structure that provides the staff with new offices, storage, shop space, and facility computer controls. The new fish rearing building is a steel structure that replaced the concrete raceways. 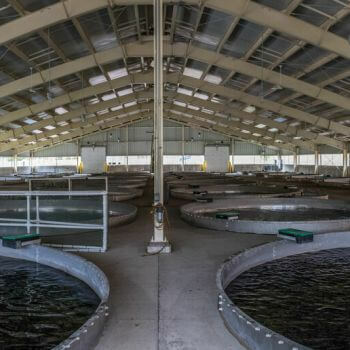 It consists of thirty two 20'-diameter stainless steel tanks, concrete floors with drainage system, and an enclosed structure with predator screens on all sides to allow air movement but protect fish from predators. 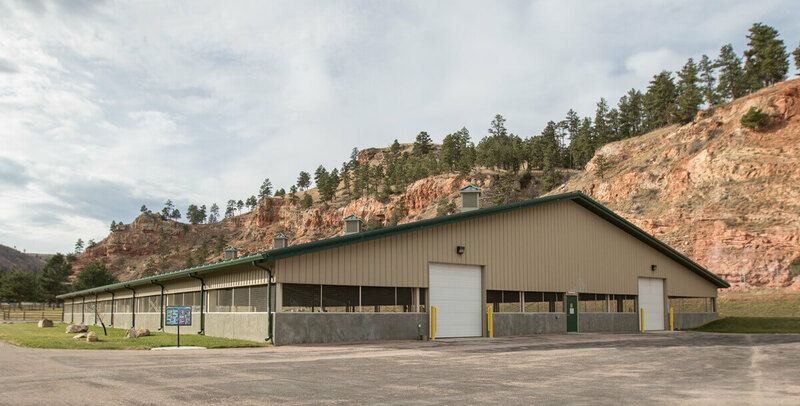 A generator building was constructed along with finish work on the existing visitor center, and a new loading dock was constructed at the existing feed storage building. This project was the winner of the AGC Build With The Best Award.